Danish Defence (Danish: Forsvaret, Faroese: Danska verjan, Greenlandic: Illersuisut) is the unified armed forces of the Kingdom of Denmark, charged with the defence of Denmark and its constituent, self-governing nations Greenland and the Faroe Islands. The Defence also promote Denmark's wider interests, support international peacekeeping efforts and provide humanitarian aid. Since the creation of a standing military in 1510, the armed forces have seen action in many wars, most involving Sweden, but also involving the world's great powers, including the Thirty Years' War, the Great Northern War, and the Napoleonic Wars. Today, Danish Defence consists of: the Royal Danish Army, Denmark's principal land warfare branch; the Royal Danish Navy, a blue-water navy with a fleet of 20 commissioned ships; and the Royal Danish Air Force, an air force with an operational fleet consisting of both fixed-wing and rotary aircraft. The Defence also include the Home Guard. The Queen is the Commander-in-chief in accordance with the Danish constitution, and under the Danish Defence Law the Minister of Defence serves as the commander of Danish Defence (through the Chief of Defence and the Defence Command) and the Danish Home Guard (through the Home Guard Command). De facto the Danish Cabinet is the commanding authority of the Defence, though it cannot mobilize the armed forces, for purposes that are not strictly defence oriented, without the consent of parliament. The modern Danish military can be traced back to 1510, with the creation of the Royal Danish Navy. During this time, the Danish Kingdom held considerable territories, including Schleswig-Holstein, Norway, and colonies in Africa and the Americans. Following the defeat in the Second Schleswig War, the military became a political hot-button issue, with many wanting the disarm the military. Denmark managed to maintain its neutrality during the First World War, with a relative strong military force. However, following the Interwar period, a more pacifistic government came to power, decreasing the size of the military. This resulted in Denmark having a limited military, when Denmark was invaded in 1940. After World War II, the different branches were reorganized, and collected under Danish Defence. This was to ensure a unified command when conducting joint operations, as learned from the War. With the defeat in 1864, Denmark had adopted a policy of neutrality. This was however abandoned after World War Two, when Denmark decided to support the UN peacekeeping forces and become a member of NATO. During the Cold War, Denmark began to rebuild its military and to prepare for possible attacks by the Soviet Union and its Warsaw Pact allies. During this time Denmark participated in a number of UN peacekeeping missions including UNEF and UNFICYP. Following the end of the Cold War, Denmark began a more active foreign policy, deciding to participate in international operations. This began with the participation in the Bosnian War, where the Royal Danish Army served as part of the United Nations Protection Force and were in two skirmishes. This was the first time the Danish Army was a part of a combat operation since World War 2. On April 29, 1994, the Royal Danish Army, while on an operation to relieve an observation post as part of the United Nations Protection Force, the Jutland Dragoon Regiment came under artillery fire from the town of Kalesija. The United Nations Protection Force quickly returned fire and eliminated the artillery positions. On October 24, 1994, the Royal Danish Army, while on an operation to reinforce an observation post in the town of Gradačac, were fired upon by a T-55 Bosnian Serb tank. One of the three Danish Leopard 1 tanks experienced slight damage, but all returned fired and put the T-55 tank out of action. With the September 11 attacks, Denmark joined US forces in the War on terror, participating in both the War in Afghanistan and the Iraq War. In Afghanistan, 37 soldiers have been killed in various hostile engagements or as a result of friendly fire, and 6 have been killed in non-combat related incidents, bringing the number of Danish fatalities to 43, being the highest loss per capita within the coalition forces. Denmark has since participated in Operation Ocean Shield, the 2011 military intervention in Libya and the American-led intervention in the Syrian Civil War. The purpose and task of the armed forces of Denmark is defined in Law no. 122 of February 27, 2001 and in force since March 1, 2001. It defines three purposes and six tasks. Its primary purpose is to prevent conflicts and war, preserve the sovereignty of Denmark, secure the continuing existence and integrity of the independent Kingdom of Denmark and further a peaceful development in the world with respect to human rights. Its primary tasks are: NATO participation in accordance with the strategy of the alliance, detect and repel any sovereignty violation of Danish territory (including Greenland and the Faroe Islands), defence cooperation with non-NATO members, especially Central and East European countries, international missions in the area of conflict prevention, crises-control, humanitarian, peacemaking, peacekeeping, participation in Total Defence in cooperation with civilian resources and finally maintenance of a sizable force to execute these tasks at all times. Total Defence (Danish: Totalforsvaret) is "the use of all resources in order to maintain an organized and functional society, and to protect the population and values of society". This is achieved by combining the military, Home Guard, Danish Emergency Management Agency and elements of the police. The concept of total defence was created following Word War 2, where it was clear that the defence of the country could not only rely on the military, but there also need to be other measures to ensure a continuation of society. As a part of the Total Defence, all former conscripts can be recalled to duty, in order to serve in cases of emergency. Since 1988, Danish defence budgets and security policy have been set by multi-year white paper agreements supported by a wide parliamentary majority including government and opposition parties. However, public opposition to increases in defence spending—during periods of economic constraints require reduced spending for social welfare — has created differences among the political parties regarding a broadly acceptable level of new defence expenditure. The latest Defence agreement ("Defence Agreement 2018–23") was signed 28 January 2018, and calls for an increase in spending, cyber security and capabilities to act in international operations and international stabilization efforts. The reaction speed is increased, with an entire brigade on standby readiness; the military retains the capability to continually deploy 2,000 soldiers in international service or 5,000 over a short time span. The standard mandatory conscription is expanded to include 500 more, with some of these having a longer service time, with more focus on national challenges. In 2006 the Danish military budget was the fifth largest single portion of the Danish Government's total budget, significantly less than that of the Ministry of Social Affairs (~110 billion DKK), Ministry of Employment (~67 billion DKK), Ministry of the Interior and Health (~66 billion DKK) and Ministry of Education (~30 billion DKK) and only slightly larger than that of the Ministry of Science, Technology and Innovation (~14 billion DKK). This list lists the complete expenditures for the Danish Ministry of Defence. The Danish Defence Force, counting all branches and all departments, itself has an income equal to about 1–5% of its expenditures, depending on the year. They are not deducted in this listing. Approximately 95% of the budget goes directly to running the Danish military including the Home guard. Depending on year, 50–53% accounts for payment to personnel, roughly 14–21% on acquiring new material, 2–8% for larger ships, building projects or infrastructure and about 24–27% on other items, including purchasing of goods, renting, maintenance, services and taxes. The remaining 5% is special expenditures to NATO, branch shared expenditures, special services and civil structures, here in including running the Danish Maritime Safety Administration, Danish national rescue preparedness and the Administration of Conscientious Objectors (Militærnægteradministrationen). Because Denmark has a small and highly specialized military industry, the vast majority of Danish Defence's equipment is imported from NATO and the Nordic countries. The Danish Royal Army (Danish: Hæren) consists of 2 brigades, organised into 3 regiments, and a number of support centres, all commanded through the Army Staff. The army is a mixture of Mechanized infantry and Armoured cavalry with a limited capabilities in Armoured warfare. The army also provides protection for the Danish royal family, in the form of the Royal Guard Company and the Guard Hussar Regiment Mounted Squadron. The Royal Danish Navy (Danish: Søværnet) consists of frigates, patrol vessels, mine-countermeasure vessels, and other miscellaneous vessels, many of which are issued with the modular mission payload system StanFlex. The navy's chief responsibility is maritime defence and maintaining the sovereignty of Danish, Greenlandic and Faroese territorial waters. A submarine service existed within the Royal Danish Navy for 95 years. The Royal Danish Air Force (Danish: Flyvevåbnet) consists of both fixed-wing and rotary aircraft. The Home Guard is voluntary service responsible for defence of the country, but has since 2008 also supported the army, in Afghanistan and Kosovo. Frømandskorpset: Amphibious attack and infiltration unit. Slædepatruljen Sirius: Arctic dog sled unit patrolling the eastern border of Greenland. A Challenger CL-604 MMA for maritime patrol in the Baltic Sea as part of NATO Allied Maritime Command. 35 soldiers in Kosovo participating in NATO's Kosovo Force, guarding the French Camp Marechal De Lattre de Tassigny. 97 people in Afghanistan as part of Resolute Support Mission. HDMS Absalon patrolling the Aegean Sea for human trafficking (September 2016). 20 people in Bamako and Gao, as part of MINUSMA. 13 people in Juba, as part of UNMISS. 11 people in Israel, as part of UNTSO. 2 people in South Korea, as part of UNCMAC. 12 men on the Sirus Patrol of Eastern Greenland. A Challenger CL-604 MMA to fly patrol over Greenland. Rota between HDMS Lauge Koch, HDMS Knud Rasmussen, HDMS Triton and HDMS Thetis to enact sovereignty patrol in the seas of Greenland and Faroe Islands. A Challenger CL-604 MMA to do maritime environmental monitoring missions in the North Sea. 149 people at Al Asad Airbase in Iraq to train the local military as part of Operation Inherent Resolve. 8 people operating radars as part of the radar element in Operation Inherent Resolve. 20 people in UAE as part of the operator element in Operation Inherent Resolve. Unknown number of Danish special forces in Senegal to train the local special forces as part of Flintlock 2016. Women in the military can be traced back to 1946, with the creation of Lottekorpset. This corps allowed women to serve, however, without entering with the normal armed forces, and they were not allowed to carry weapons. In 1962, women were allowed in the military. Currently 1,122 or 7.3% of all personnel in the armed forces are women. Women do not have to serve conscription in Denmark, since 1998, it is however possible to serve under "conscription like circumstances". 17% of those serve conscription or conscription like circumstances are women. Between 1991 and 31 December 2017, 1,965 women have been deployed to different international missions. Of those 3 women have lost their lives. In 1998, Police Constable Gitte Larsen, was killed in Hebron on the West Bank. In 2003, Overkonstabel Susanne Lauritzen was killed in a traffic accident in Kosovo. In 2010, the first woman was killed in a combat situation, when Konstabel Sophia Bruun was killed by an IED in Afghanistan. In 2005, Line Bonde, became the first fighter pilot in Denmark. In 2016, Lone Træholt became the first female general. She was the only female general in the Danish armed forces until the army promoted Jette Albinus to the rank of brigadier general on 11 September 2017. In May 2018, the Royal Life Guards was forced to lower the height requirements for women, as the Danish Institute of Human Rights decided it was discrimination. Technically all Danish 18-year-old males are conscripts (37,897 in 2010, of whom 53% were considered suitable for duty). Due to the large number of volunteers, 96-99% of the number required in the past three years, the number of men actually called up is relatively low (4200 in 2012). There were additionally 567 female volunteers in 2010, who pass training on "conscript-like" conditions. Conscripts of the Guard Hussar Regiment Mounted Squadron serve 12 months. Conscripts aboard the Royal Yacht Dannebrog serve nine months. Conscripts in the Danish Emergency Management Agency serve nine months. Conscripts in the Royal Life Guards serve eight months. ^ "Number of employees". forpers.dk (in Danish). Danish Defence. Retrieved 19 June 2018. ^ Danish Defence (30 May 2018). "Forsvaret i verden lige nu". Forsvaret.dk (in Danish). Retrieved 19 June 2018. ^ "LOV nr 122 af 27/02/2001 om forsvarets formål, opgaver og organisation m.v." (in Danish). Retrieved 2012-07-30. ^ Hansen, Ole Kjeld (1997). "Operation Hooligan-bashing – Danish Tanks at War". Archived from the original on May 23, 2013. Retrieved 29 January 2015. ^ "Yugoslav events chronology". University of Texas at Arlington. 17 March 2000. Retrieved 29 January 2015. ^ "Operation Iraqi Freedom | Iraq | Fatalities By Nationality". iCasualties. 2010-05-28. Retrieved 2011-06-13. ^ "Dansk soldat er dræbt i Afghanistan". DR. 2011-07-10. ^ Staff. "Denmark Lost the Most Troops in Afghanistan". politiken.dk (in Danish). Politiken. Retrieved 22 November 2016. ^ a b Chief of the Army (1972). Grundbog for hærens meninge (in Danish). Copenhagen: S. L. Møllers Bogtrykkeri. p. 19. Retrieved 1 October 2018. ^ Friis, Niels (1 March 2007). "Forsvarsforligets betydning for totalforsvaret" [The Defence Agreement's Effect on the Total Defence]. krigsvidenskab.dk (in Danish). Retrieved 19 June 2018. ^ Jydske Dragonregiment. "Hærens Basis Uddnnelse". forsvaret.dk (in Danish). Retrieved 1 October 2018. ^ Ministry of Defence (31 January 2018). "Forsvarsforlig". fmn.dk (in Danish). Retrieved 9 November 2018. ^ Nielsen, Holger K. (19 December 2011). "Nødvendigt at spare på forsvar". information.dk (in Danish). Dagbladet Information. Retrieved 9 November 2018. ^ a b Ministry of Defence (14 October 2018). "Agreement for Danish Defence 2018 - 2023". fmn.dk. Ministry of Defence. Retrieved 9 November 2018. ^ Jens Ringsmose (November 2007). "Danmarks NATO omdømme" (PDF). cms.polsci.ku.dk. Dansk Institut for Militære Studier. ^ Danish Ministry of Defence (8 May 2018). "Defence Economy". fmn.dk (in Danish). Archived from the original on 28 October 2017. Retrieved 13 May 2018. ^ "Danish Defence around the world right now". forsvaret.dk (in Danish). 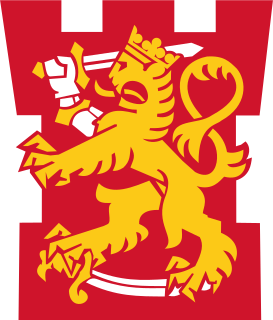 Forsvaret. Retrieved 6 March 2016. ^ Ussing, Jakob. "Absalon to be part of NATO fight against human trafficking". b.dk (in Danish). Berlinske. Retrieved 6 March 2016. ^ Lindhardt, Søren. "Special Forces training Nigerian special forces". forsvaret.dk (in Danish). Defence Command. Retrieved 21 March 2016. ^ "Historisk tidslinje for ligebehandlings- og mangfoldighedstiltag i forsvaret" (PDF) (in Danish). Retrieved 1 October 2018. ^ Forsvarsministeriets Personalestyrelse (9 March 2018). "Kvinder i Forsvaret og Beredskabsstyrelsen". forpers.dk (in Danish). Danish Ministry of Defence. Retrieved 1 October 2018. ^ Forsvarsministeriets Personalestyrelse (25 January 2018). "Værnepligtige i Forsvaret og Beredskabsstyrelsen". forpers.dk (in Danish). Danish Ministry of Defence. Retrieved 1 October 2018. ^ Forsvarsministeriets Personalestyrelse (22 August 2018). "Udsendte". forpers.dk (in Danish). Danish Ministry of Defence. Retrieved 1 October 2018. ^ "Danske militære tab i international tjeneste". fns-naestved.dk (in Danish). 31 May 2014. Retrieved 1 October 2018. ^ ""Sophia var en rigtig husar"". jyllands-posten.dk (in Danish). JP/Politikens Hus A/S. 2 June 2010. Retrieved 1 October 2018. ^ "Hæren har fået sin første kvindelige general" (in Danish). TV2. 11 September 2017. Retrieved 16 April 2018. ^ /ritzau/ (18 May 2018). "Livgarden sænker højdekrav for kvindelige gardere". berlingske.dk (in Danish). Berlingske Media. Retrieved 1 October 2018. ^ Thomas Klose Jensen. "Frivillig værnepligtig: Det er min drengedrøm". DR.
Wikimedia Commons has media related to Military of Denmark. One for all, all for one? New Nordic Defence Partnership?—Publication from the Nordic Council of Ministers. Free download. The Chief of Defence of Denmark, under responsibility of the Defence minister, is the Chief of Defence and commander of the Royal Danish Army, the Royal Danish Navy and the Royal Danish Air Force. The Chief of Defence is the military adviser to the Defence minister and head of the Defence Command. Island Command Greenland, or simply "GLK", was a Level.II authority responsible directly to the Defence Command. It was, among other things, responsible for the military defense of Greenland, maritime and sovereignty maintenance and enforcement, as well as search and rescue. Personnel assigned to the Danish liaison office at Thule Air Base (FOTAB) as well as the Sirius Patrol were also a part of the Greenland Command. Island Command Greenland was amalgamated with Island Command Faroes to a Joint Arctic Command on 31 October 2012. The Danish Defence Estates and Infrastructure Organisation (DDEO), is a Level.I authority, directly under the Danish Ministry of Defence. It was created in 2014 after the Construction and Establishments Service was reorganized, due to the Defence Agreement 2013-17. The Minister of Defence of Denmark is the politically appointed head of the Danish Ministry of Defence. The Minister of Defence is responsible for the Danish armed forces, the Danish Defence Intelligence Service and the Danish Emergency Management Agency. The Joint Arctic Command is a direct Level II authority in the Danish Defence. Joint Arctic Command's primary mission in peacetime is to ensure the Unity of the Realm sovereignty by monitoring the area around the Faroe Islands and Greenland. The command also handles tasks such as fishery inspection, Search and Rescue (SAR), patient transport and other tasks of social character. Bjørn Ingemann Bisserup is a Danish General, who served as acting Chief of Defence in 2009 and 2012, before becoming Chief of Defence in 2017. Badges of the Danish Military are military decorations issued to soldiers who achieve a variety of qualifications and accomplishments while serving active or reserve duty in the Danish military. They are worn, on the service dress or barracks dress, either right above or on the breast pocket, depending on whether there are Danish Parachutist Brevets. There is no limit to the amount worn and there is no designated order for the badges.